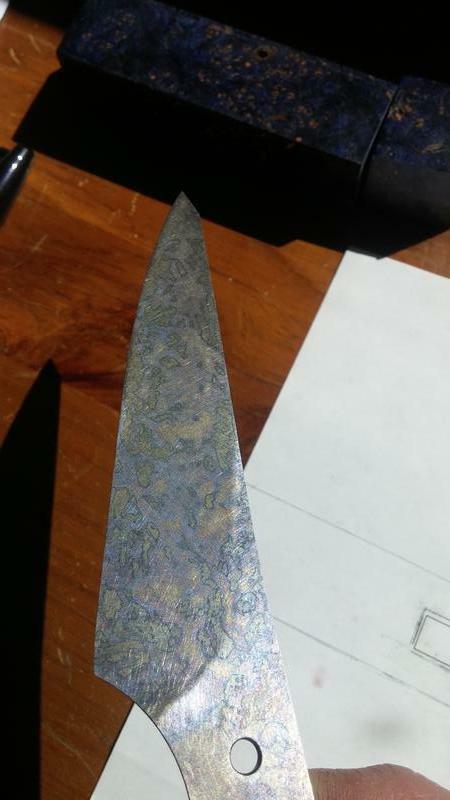 This is patina on a Tanaka vg10. Weird. I thought it was stainless? 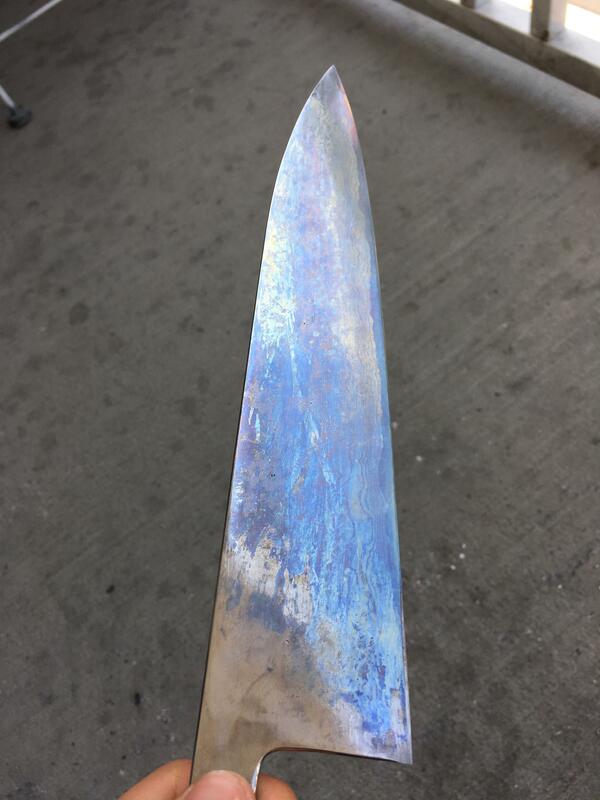 This is probably my most used knife, I reground it a few months ago and just let the patina build naturally, this is 80crv2 steel. ^^^That open dishwasher is ominous. Hahahahaha. 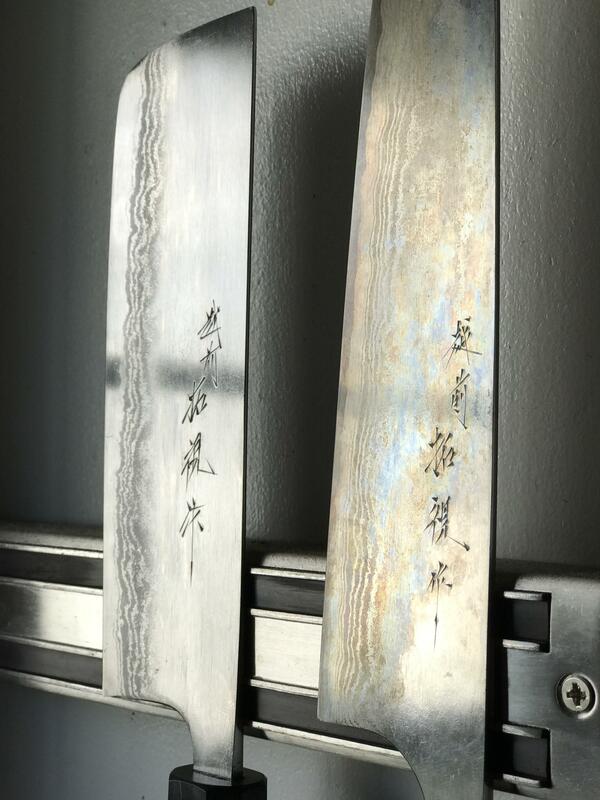 That picture gives the impression that the knife has been misbehaving and is getting ready to be punished. Lol you guys are killing me, i didn't even think about the dishwasher in when I took this picture. Rest assured, the only knives that go in there are the dollar store butter knives. Testing tinypic with a iPhone snap of a Doi that's picking up my favorite patina to date. 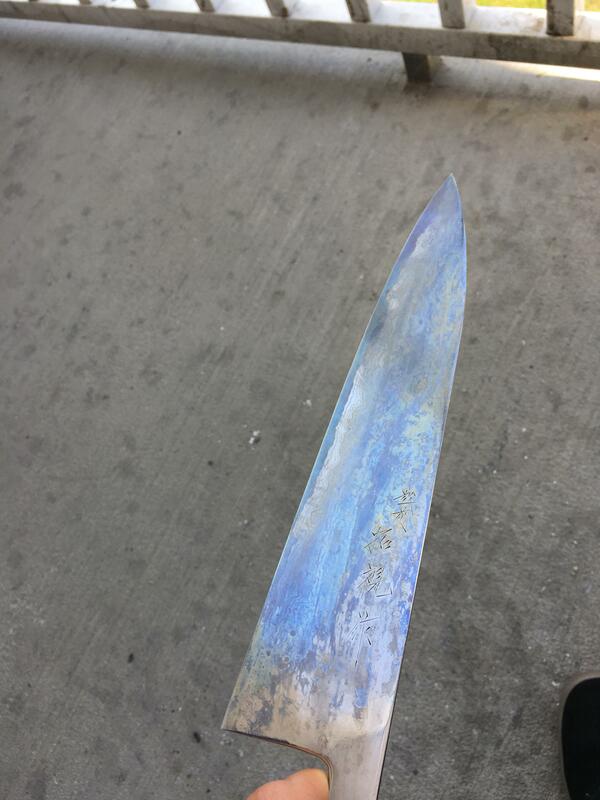 Thought you guys would like to see the patina difference. 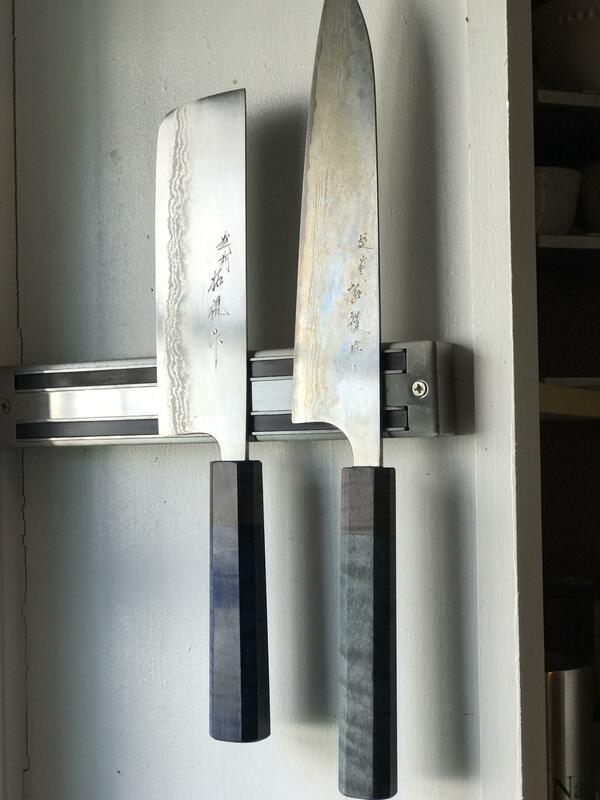 Also, both have CKTG's Blue Maplewood Handles. You can see the wear/fading profile on these. 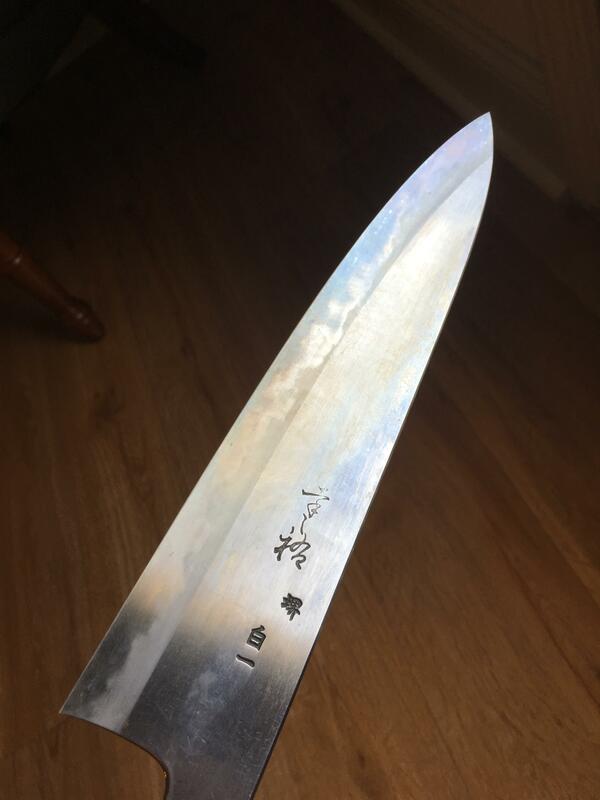 Love the patina around the kanji!!!! 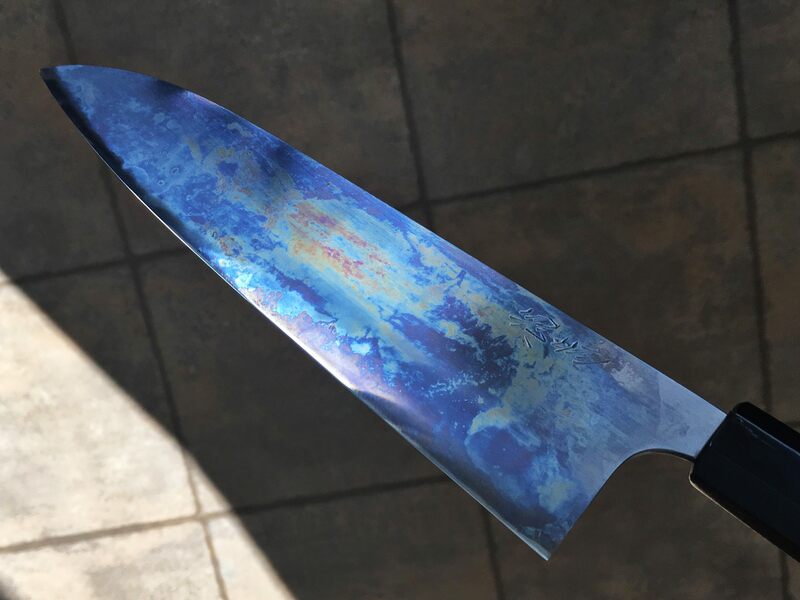 What did you use to force the patina on this one? Just some iPhone snaps. First photo the white balance is a little blue (the floor is too cool, unlike the second), but the colors are unedited. Wow. 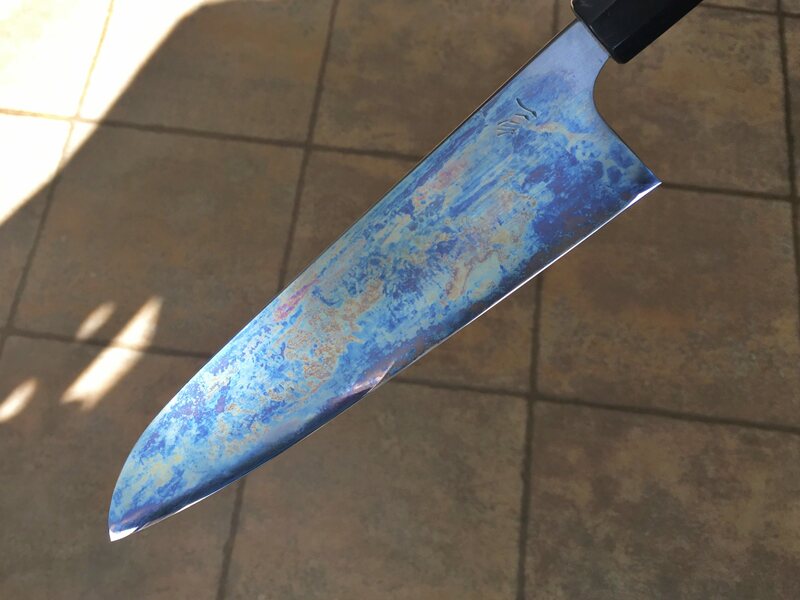 I think that's my favorite patina yet. Same man! I'm tempted to strip it and try again to see if I can get even more of the deep blue. Ya that would look killer! Just from cooked chicken? Yup! Just a chicken breast fresh out of a 149 degree water bath. Sliced it in half right away and left the blade in it for 5-10 minutes. Chicken was a little dry then as I didn't let it rest, but I wanted to see what would happen patina wise, ha. Success! That Yahiko is incredible. The patina looks painted on.